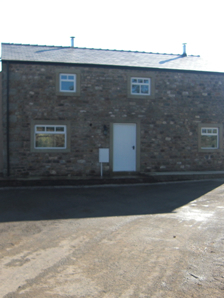 John Moore & Sons provide expert masonry and stonework services in Clitheroe and throughout the North West of England. With over 30 years of experience specialising in masonry & stonework, John Moore & Sons have become a trusted and respected name in the North West. Having worked on hundreds of masonry and stonework projects in the local area, John Moore & Sons have provided services for new builds, commercial buildings and renovations. Because of this John Moore & Sons are a leading name in North West for stonework and masonry projects. Stonework carried out by John Moore & Sons in Clitheroe and the North West is regarded amongst the best in the area. Our services are backed up with expertise in all fields of building work, including expert brick layers working on inspirational designs from the architects at John Moore & Sons.